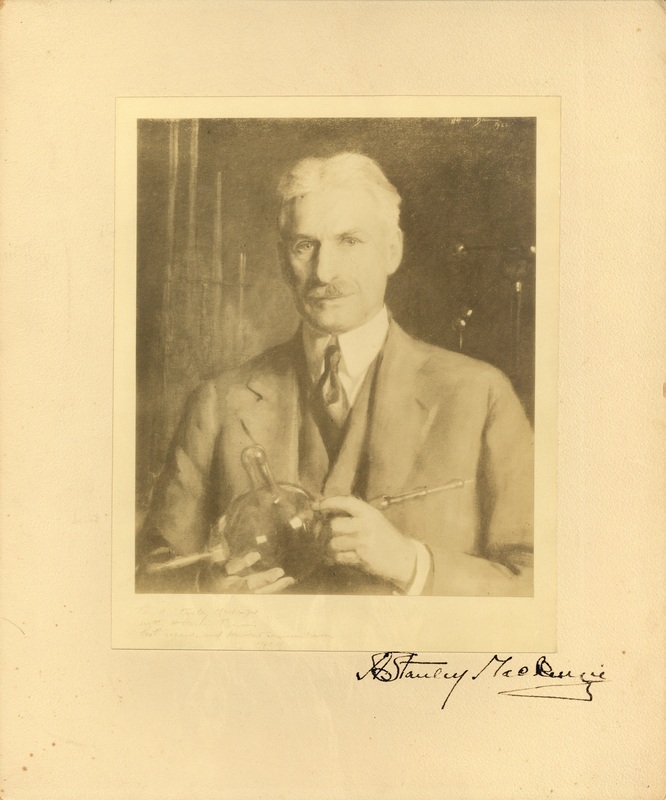 File contains five copies of a painting of Arthur Stanley MacKenzie holding an piece of glass scientific equipment. Photograph previously located in PC2, Box 5, Folder 14. One copy of the painting is signed by Arthur Stanley MacKenzie.